Consistently boost quality rates by 2% to 10%. The person cracking an egg should be the consumer. Damage in the egg handling process not only creates a mess and reduces product quality but of course goes straight to the reduction in bottom line profit. Measure the impact your eggs are receiving during processing. Customers using the CracklessEgg™ report that quality rates routinely improve by 2% to 10%. 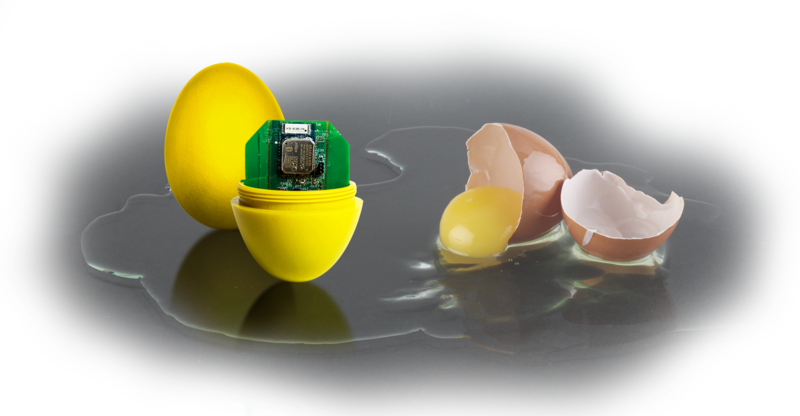 Despite the shape and appearance of an ordinary egg, CracklessEgg™ is a wireless sensor solution. It provides a real-time measure of impact to your eggs, as well as the location and severity of the damage, displayed on your system's tablet. Take immediate corrective action to prevent hairlines and product loss. Reduce damage and cracking by as much as 10%. Improve line efficiencies, targeting downtime and maintenance. Test new equipment in quick time. Measure levels of shock throughout the entire line. Customized thresholds quickly detect areas where G-Force measurements exceed product threshold. Heat and water resistant acrylic replicas are based on small and large egg sizes, balanced to imitate chicken eggs. Compare data runs and generate reports from anywhere via an easy-to-use web interface. Virtual remote sensors travel through your line to monitor the entire process, not just a moment in time. 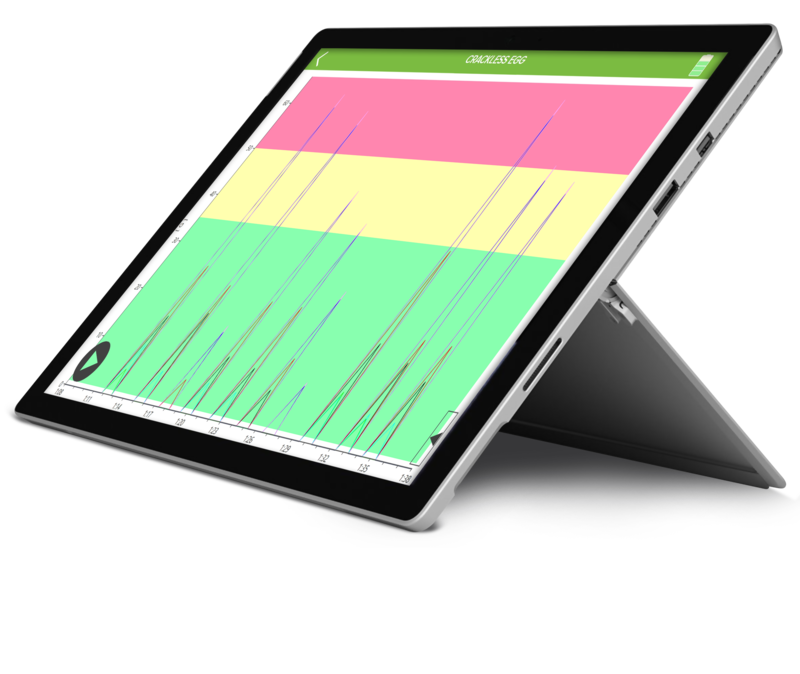 The aaggrrii™ app ships pre-loaded on a Windows-based tablet for quick set-up and real-time calibration. Bluetooth wireless real-time systems pinpoint exact location where product damage occurs. Sampling Rate: Up to 100,000 samples/second to ensure 99% repeatability on any given point. Triaxial Accelerometers provide comprehensive 360º detection. System includes CracklessEgg™ sensors, tablet, location tracking beacons and web dashboard access. "The benefits of the CracklessEgg™ have surpassed any expectations we may have had. We can pinpoint exactly where improvements can be made. I can’t imagine anyone not having this tool to increase their revenue."